The Pharmacy Department of Brijlal Hospital and Research Center is the best Hospital Pharmacy in Uttarakhand and one amongst the top ten in India. 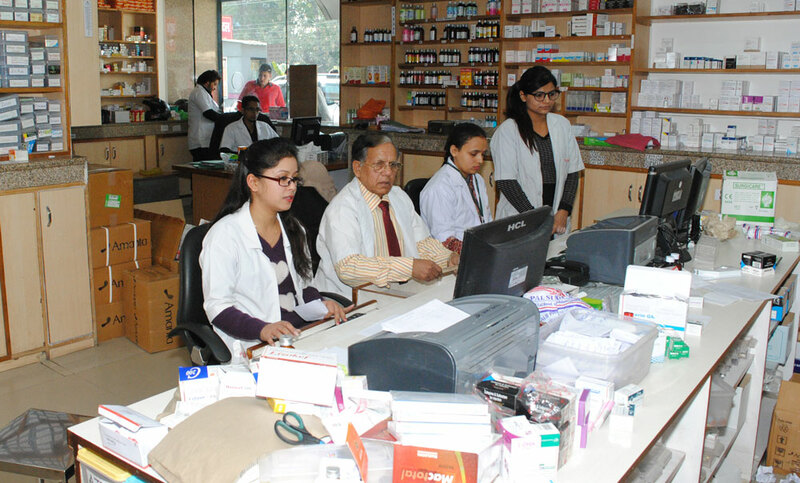 The staff strength of Brijlal Hospital pharmacy is 90, out of which 20 are Pharmacists. We have In-Patient Pharmacy, Out Patient Pharmacy and Pharmacy Main Store. IP Pharmacy caters to more than 1500 patients, whereas OP Pharmacy caters to the services of around 3000 patients daily.